As an online resource in psychology, mental health and well-being, aside from our blog, we also have a podcast and an open access journal. 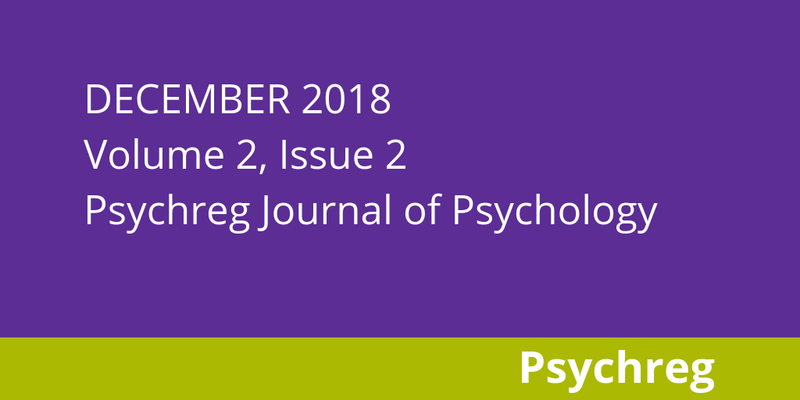 The December 2018 issue of Psychreg Journal of Psychology is now available online. For this issue we have 12 articles and the full issue is available to download here. We would like to thank the excellent reviewers who have contributed their time and expertise to making this issue possible. Their voluntary efforts enable us to bring you quality articles in a timely manner. Also, please join us in welcoming our new editorial board member, Dr Marieke Ledingham (University of Notre Dame), and also Dr Teraiza Elizabeth Rodriguez (Venezuelan Society of Psychiatry) who is joining us as a peer reviewer. PJP is published in June and December, but we continuously accept submissions throughout the year. And we don’t charge any fees. We are also looking for more peer reviewers. As some of you might already be aware, Psychreg hosted the 1st International Conference on Psychology, Counselling and Education (ICPCE 2018) held in Quezon City, Philippines last August 2018 and was participated by 549 delegates. Our associate editors, Dr Berney Wilkinson and Dr Richard Marshall; editorial board member Rohit Sagoo; and one of our reviewers, Fraser Smith joined the event as speakers. The conference proceedings of ICPCE 2018 will be published on a special issue of PJP by March 2019. We also invite you to join us on the next Psychreg event, 1st Mental Health Bloggers Conference (MHBC 2018), which is jointly hosted with Fraser Smith of GetPsyched. MHBC 2018 will be held on Monday 17th of December, 10am–4pm at the London Borough of Havering. Ticket costs £16.76 and can be purchased here. Finally, we are pleased to share to you that Psychreg has been nominated for the third time at the UK Blog Awards. We are at the crucial voting stage; please show us some love and vote for us – It only takes 3.57 seconds!